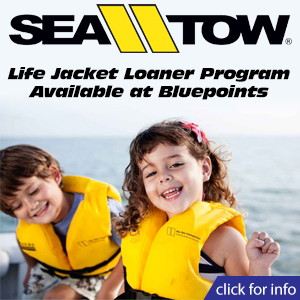 Scroll down for a list of Frequently Asked Questions about Bluepoints Marina, boat storage, local marinas, and more. Can’t find the answer to your question? Feel free to contact us. Q: How much does it cost to keep my boat in dry storage at a marina? A: This question is without a doubt the first question all boat owners ask when considering placing their boat in a marina. Although the question is a very simple one, it involves a number of factors that must be considered before the marina can provide an answer. Marina dry storage fees are typically a charge based on the Length Over All (LOA) of a boat, as well as the beam width, and the boat’s height. Marinas will determine your boat’s LOA by measuring from the furthest point extending from the bow including bow pulpits and anchors to the furthest point extending beyond the transom. This includes swim platforms, motors, and outriggers. Once a boat’s LOA, beam width, and height have been determined, the marina will need to know how long of a term you are you considering staying with the marina. The marinas LOA storage rate varies, as it is typically based upon the boat owners’ term of commitment to the marina. Marina term rates are typically offered as follows: Annual Term, 6 – 11 Month Term, 3 – 5 Month Term, 1 – 2 Month Term. Some marinas even offer weekly rates for dry storage. Q: Why does the marina say my boats Length Over All (LOA) is longer than what the manufacturer says? A: Marinas determine a boat Length Over All (LOA) by measuring from the furthest point extending from the bow, including bow pulpits and anchor to the furthest point extending beyond the stern. This includes transom brackets, motors, swim platform, and outriggers. Manufacturers do not typically include outboard motor(s) or transom brackets (ex: Armstrong type brackets) in their LOA. Manufacturers also have no way to determine the style and or type of outrigger boat owner may choose to add on (if applicable). Q: What is included in my dry storage fee? What do I get for the money? Are work/wash racks available for boat owners’ use? Does the marina charge to use the work/wash rack? Does marina include flushing motor(s) in my storage fee or is this an extra billable service? Does marina include rinsing my boat once retrieved from the water in my storage fee or is this an extra billable service? Does the marina offer concierge service? Q: Are there any additional fees for launching my boat? How often can I launch my boat? A: Marinas vary with the number of launches a customer is allowed within a given period of time without the customer incurring additional charges. Some marinas allow for 3 – 4 launches per week while others will allow launching 7 days per week without incurring additional fees. A: Marina operations hours typically vary upon the season. It is important to know if the marinas hours of operations will be convenient for your boating lifestyle. Look for a marina that offers “fisherman friendly hours” as they typically open early and close late. Please Note: some marinas have a spacious amount of dockage that can accommodate early departures and late returns without the need of extended hours. Q: How much notice do you need to launch my boat? A: Most local marinas require the boat owner to be on site prior to launching their boat. Most local marinas do not have enough courtesy (tie-up) docks in order to accommodate the boat while awaiting the boat owner’s arrival and still continue marina operations. Waiting for your boat to be launched on a busy day at the marina can be frustrating and time-consuming for all parties. There are local marinas, however, that have adequate dockage to accommodate launching the boat prior to your arrival. Marinas that have adequate tie-up dockage offer Call-Ahead Service whereby you call the marina– typically an hour prior to your expected arrival– and they will have your boat in the water awaiting your arrival. Q: Why does cost vary from marina to marina? A: Cost varies widely between marinas even in a local market. There are typically four different types of dry storage facilities: outdoor ground level storage, outdoor open-rack storage, partly-covered or shaded storage (typically a 3-sided building), and fully-enclosed storage. Typically the lowest priced of these facilities is outdoor storage where your boat is stored outdoors either ground level or on open racks completely exposed to the elements. Partly covered storage or shaded storage is typically more costly than open outdoor storage as your boat is provided a little shade protection. Fully-enclosed dry storage is typically more costly, however, the benefits for the boat and boat owner from this type of storage outweigh the difference in lower-priced storage options. Q: What are the benefits of choosing a fully-enclosed dry storage? 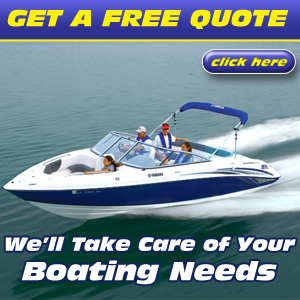 A: Boats that are stored within a fully enclosed facility have much greater protection from possible theft, windblown dirt and debris, UV rays that will fade your boats finish and upholstery, your boat will require cleaning and detailing less often, modern fully-enclosed facilities offer greater protection from named storm conditions like hurricanes, and depending upon the facility you choose, you may receive lower rates on your insurance. The greatest benefit many boat owners experience from choosing a fully-enclosed dry storage facility is peace of mind, knowing their boat is as safe and secure as it can be during their absence. Q: How do I choose the marina that will be right for me? Best local marina? A: Call each marina you are considering and ask questions. If the marina is not willing to take whatever time is needed to answer all of your questions in order to potentially earn your business, this is a good indication they will not answer your questions or address your concerns once they have your business. Before choosing a marina, ask friends that utilize a marina for a recommendation, read online reviews, visit the marina’s website, physically tour the marina facilities and speak with marina management and current customers of the marinas you are considering. While touring marinas, look to see if the facilities, docks, and grounds are neat and clean. Do the facilities themselves appear well-maintained? Well-maintained facilities and neat, uniformed marina staff members are good indications marina ownership not only takes pride in their facilities and staff members but, are most likely to offer a higher level of customer service. It is also important to ask questions. Marina personnel that are not willing to take the time to provide you a tour of their facilities and answer all of your questions is a good indication of what you may expect in the future if you choose that particular marina. Once you have physically toured a marina you are considering, ask the following questions: Does the marina’s staff, facilities, and services meet your expectations? Is this a place where I would be comfortable boating from with my family and friends? Did I feel welcomed? The most important thing you should receive for your hard earned dollars is peace of mind. Q: How much vehicle parking does the marina have? A: Convenient parking for your vehicle at some marinas can be problematic during the busy boating season and on Holidays. You may not realize the importance of adequate and convenient parking spaces for your vehicle until you are struggling to lug your gear to the marina from your vehicle that may be parked in a remote parking lot possibly hundreds of yards away. Having an adequate number of easily accessible and convenient parking spaces on site, connected with paved sidewalks is more user-friendly, as it will make transporting your gear more convenient and less of a struggle.